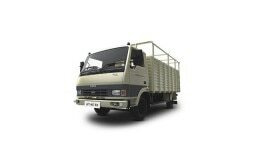 Association of MAN Trucks in India dates back to 1958 when it used to supply Shaktiman trucks to defence department of India. But later in 2006, it started its operations in collaboration with Force Motors and eventually took over the joint venture in 2011 becoming the wholly owned subsidiary of its German parent company. MAN Trucks offers a dynamic range of heavy commercial vehicles for the Indian market from haulage tractors, construction and mining tippers, multi-axle trucks and special application vehicles providing solutions for diverse requirements. MAN truck price range in India starts from INR 23.43 lakhs with MAN CLA 16.220, MAN CLA 49.280 and MAN CLA 25.220 6x4 being some of its popular models. The automaker has upgraded its plant to produce BS-IV compliant engines and is already selling Made in India MAN CLA EVO BS4 Trucks which are fuel efficient as well as environment friendly. MAN is expanding its international growth beyond its key European markets. In India, the company manufactures and exports trucks from its Pithampur plant located in Madhya Pradesh to Middle East, African and Asian markets. With over 41 dealership and nationwide service network, MAN Trucks in India has positioned itself as one of the key players in the commercial vehicle segment.